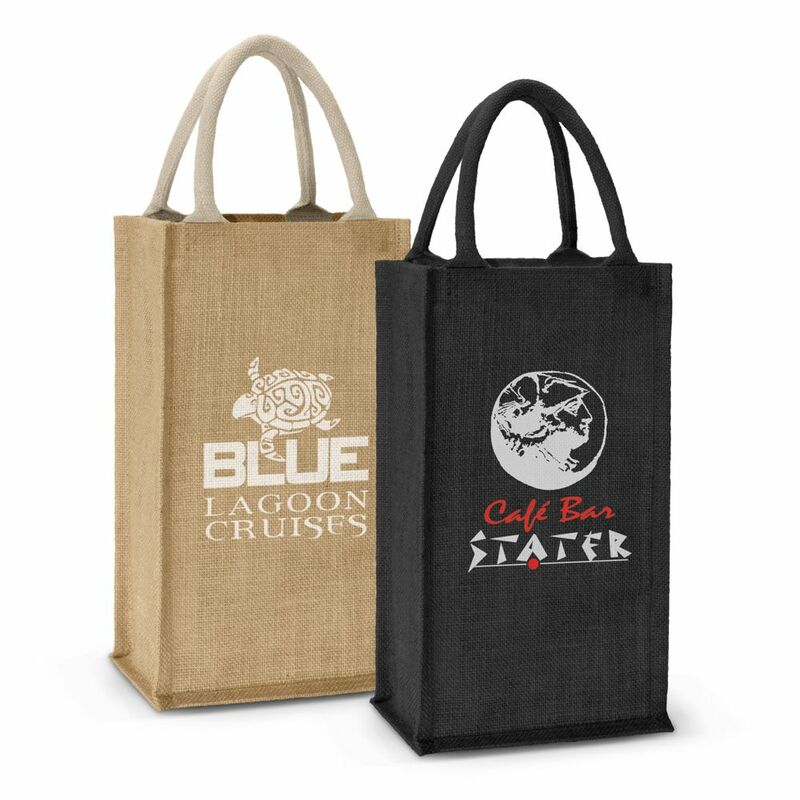 Two bottle wine carry bag with separated compartments which is manufactured from environmentally friendly laminated natural jute with unbleached woven cotton handles. H 350mm x W 200mm x Gusset 105mm (excludes handles).Handle length: 340mm. One colour screen print pricing.